The Creation of RAL DESIGN Colour references has made life little easier for architects, designers, advertising agencies and many others for advanced colour management. The development of RAL DESIGN colour fan has bought an amenity for various designers, architects and many others they make use of RAL design colour fan to miss match various colour combinations. 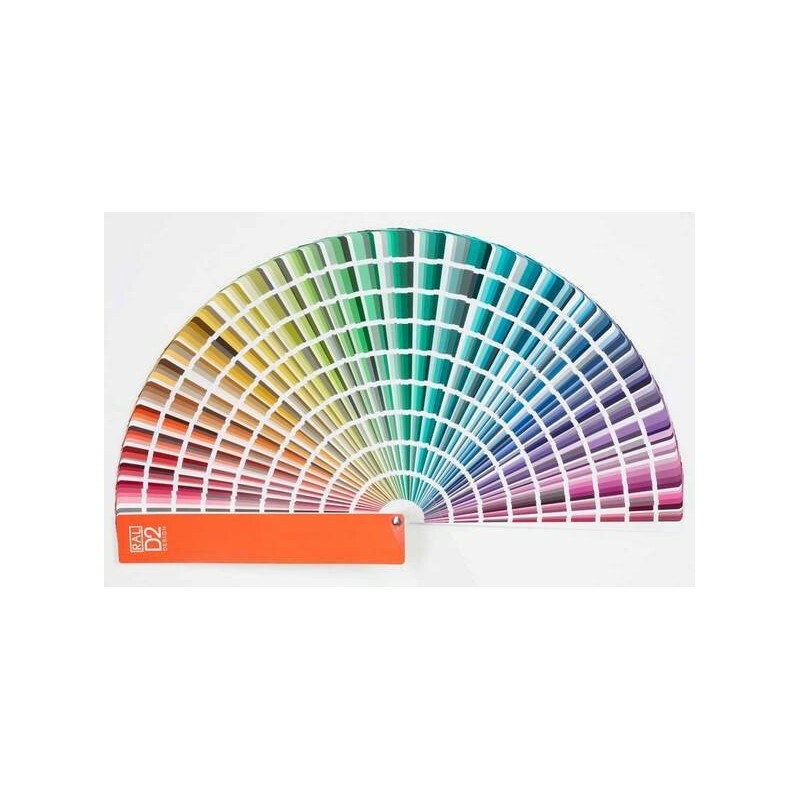 RAL DESIGN D2 colour chart incorporates the intact collection of explicit colours which are quite simple to use, and it offers various professional colour users, a simple 7 digit code system for leisure of selection. 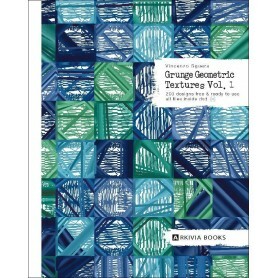 1) RAL Classic which contains about 200 colours. 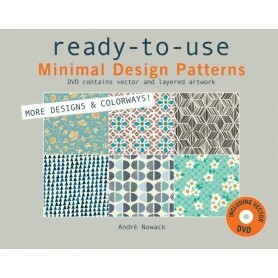 2) RAL Design which contains 1,825 colours. 3) RAL Effect with 490 colours, all the colours being water based. The RAL DESIGN AND RAL CLASSIC are very differently developed systems and they have their own product lines. 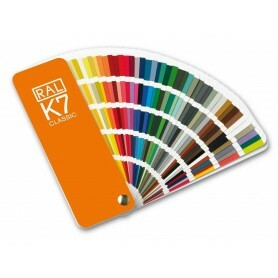 As they have homogenous colour values, some of the RAL DESIGN COLOURS match RAL CLASSIC colours. Similarly, in the CIELab colour space, RAL CLASSIC colours can also be manifested or found. 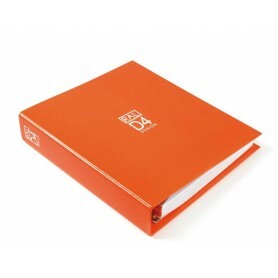 RAL DESIGN D2 colour chart incorporates the intact collection of explicit colours which are quite simple to use, and it offers various professional colour users, a simple 7 digit code system for leisure of selection. RAL DESIGN SYSTEM has 1,625 colours aligned in synchronous manner corresponding to hue (H), lightness (L), and chroma (C). Now as the RAL DESIGN colour chart has too many colours so it becomes difficult to give each 1,625 colours a different name that is the reason the colours are exhaustively scattered in the CIELab colour space and the indication of the location in the colour space is determined by the number of the colour. The CIELab colour space is used internationally since 1976. The RAL DESIGN SYSTEM is mostly used by the interior designers, architects, advertising agencies as it has been designed to make things more appropriate for them. The interior designers make use of it while decorating restructuring and rebuilding the houses, the use of RAL DESIGN SYSTEM makes the job of the interior designers much easier as they get easy access to all the colours available in the RAL design system and they can miss a match all the colours with ease. Same goes with the architects and the advertising agencies. The development of RAL DESIGN SYSTEM has proved to be beneficiary for them all. The colour numbers of the RAL DESIGN SYSTEM are composed by using the first 3 digits to recognise the hue that is H, the lightness L is ascertained by the following first pair of digits, and the chroma C is ascertained by following the second pair of digits. This is how the numbers of the RAL DESIGN SYSTEM are composed. In respect to the designation of non-coloured grey shades close observation should be made as the hue of H = 0. So in order to avoid heap with RAL CLASSIC colour shade, the first three zeros should be mentioned and it cannot be dropped. The system which is followed by the RAL DESIGN COLOUR is the L*a*b* colour measuring system that is internationally accepted and is established by the (Commission International d’Eclairage) CIE in 1976. Value A in this system illustrates the red-green axis wherein the positive values are for red and the negative ones are for the green. Value B in this system illustrates the yellow-blue axis wherein the positive values are for yellow and negative ones are for blue. The lightness is illustrated by L wherein zero represents ideal black and 100 shows the ideal white. 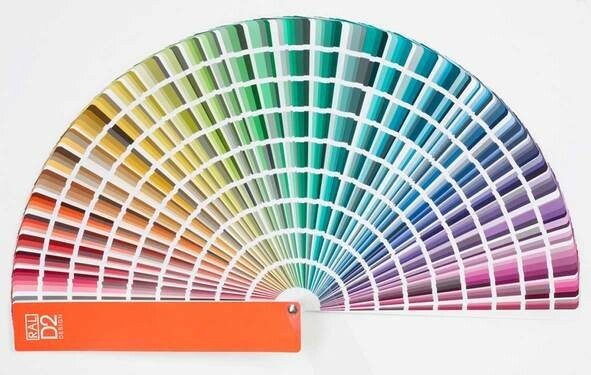 The RAL DESIGN Colour fan contains about 1,825 colours. The RAL DESIGN Colour fan provides various professional colour users with a simple 7 – digit code system making it simpler for them to select the desired colours. 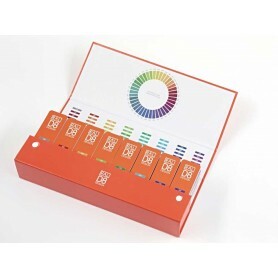 The RAL DESIGN Colour fan contains about 9 colours on each page. 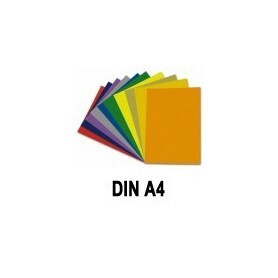 The RAL DESIGN D2 colour system makes the colour classification much simpler and crystal clear. The colours displayed in the RAL DESIGN D2 colour fan is semi-matter finish. 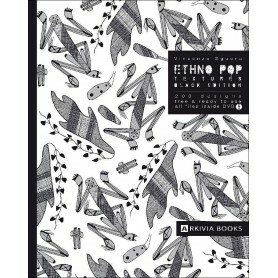 The Product Code is - RALD2. It is clearly advisable to all the professional colour users says for architects, designers, advertising agencies to use RAL DESIGN D2 colour fan. It not only contains various colour combinations but also makes it easier on selection basis as it offers a range of 1825 colours.